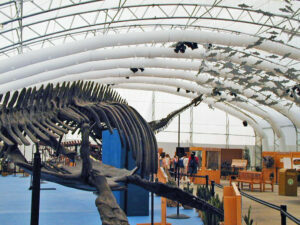 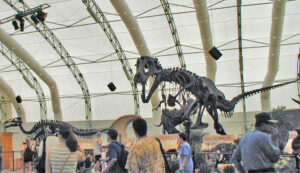 The Jubilee itself was a large tent-like structure located where Dino-Rama! 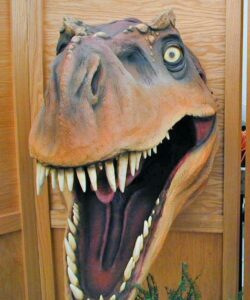 is now, just outside of the Chester & Hester’s store. 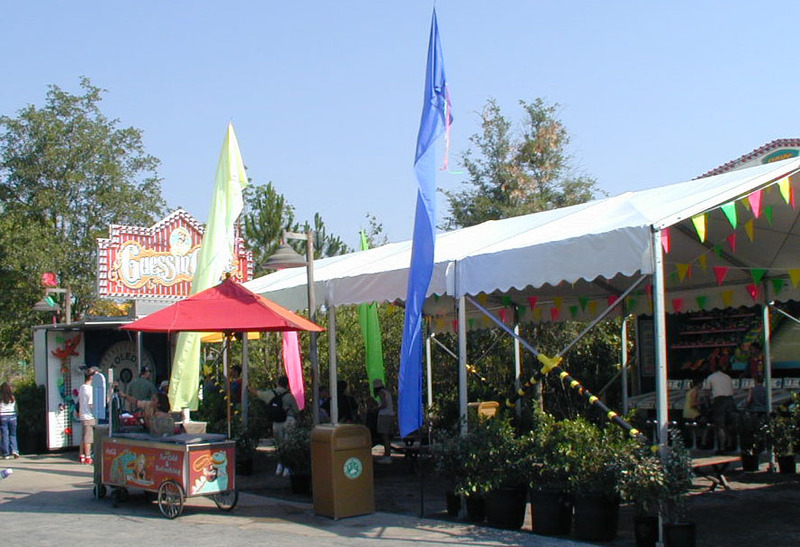 There was no denying that this was a temporary building and attraction, as it was relatively sparse and the theme was minimal. 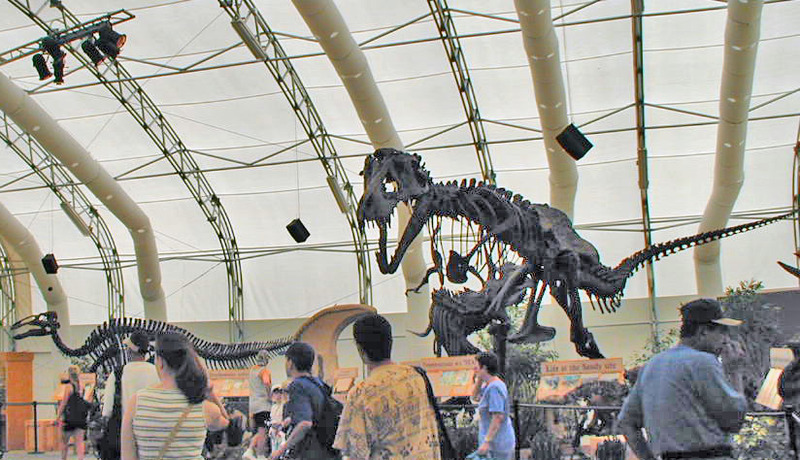 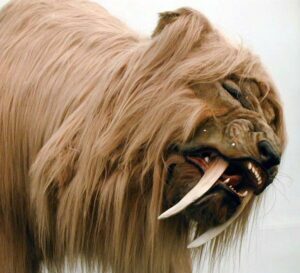 On the upside, it was one of the few areas of the Animal Kingdom with air conditioning. 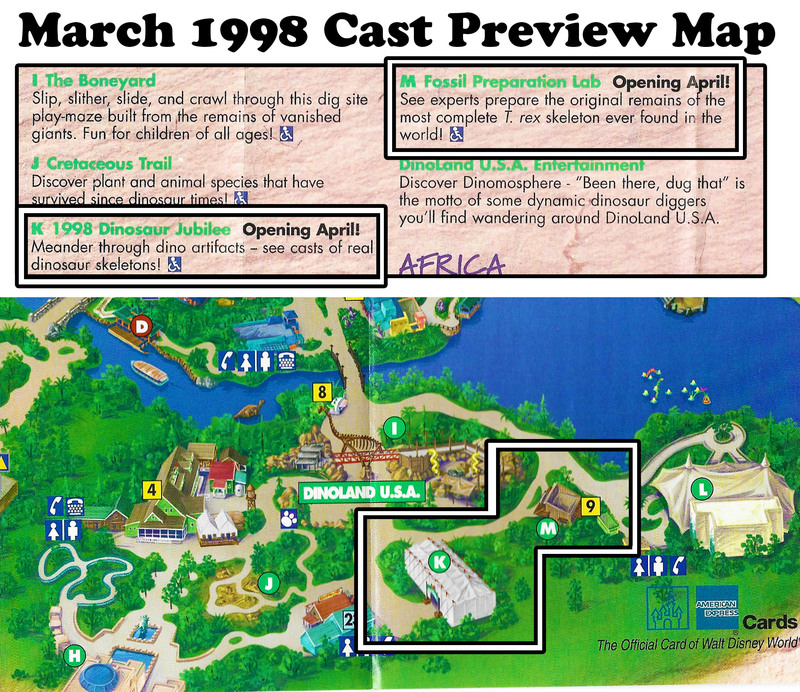 Nearly all shows (Grandmother Willow’s Grove, Festival of the Lion King, Flights of Wonder, Journey into Jungle Book) and attractions (Kilimanjaro Safari, Gorilla Falls, The Boneyard, The Tree of Life Garden, Discovery Riverboats, Wildlife Express) were outdoors. 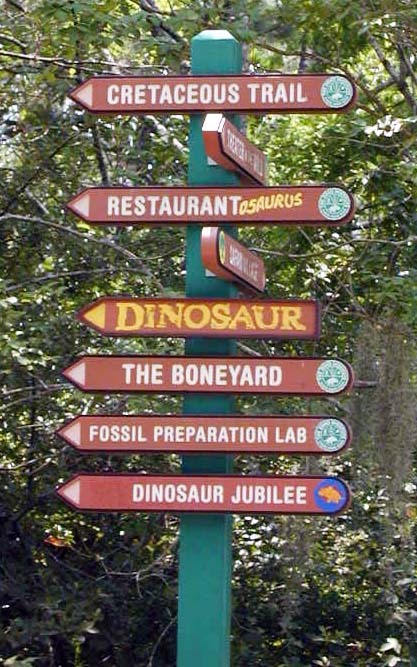 The Dinosaur Jubilee and Conservation Station (Rafaki’s Planet Watch) were constantly mentioned by the cast to the guest as a great way to cool down. 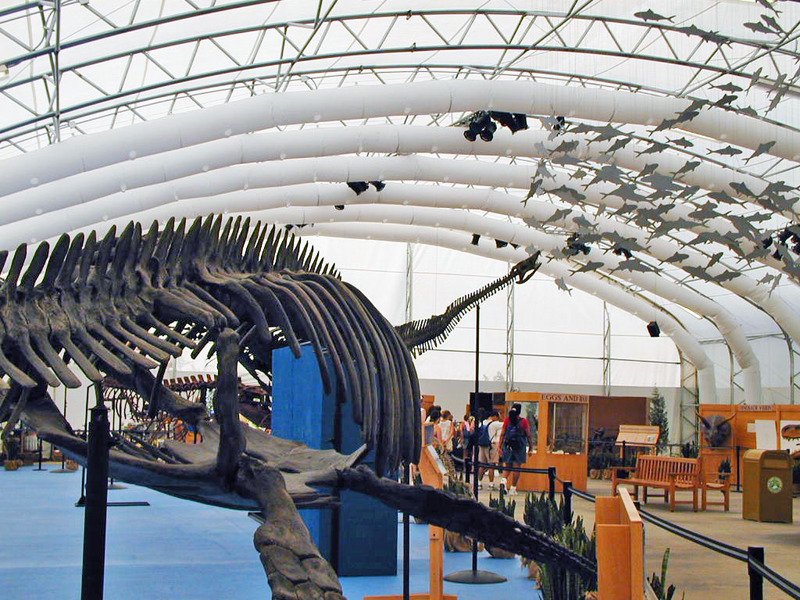 Cool down in the A/C – just like these skeleton casts. 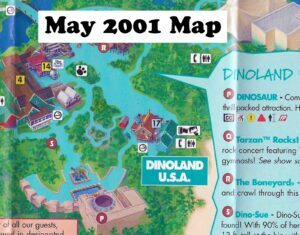 1999 Edition of Dinosaur Jubilee! 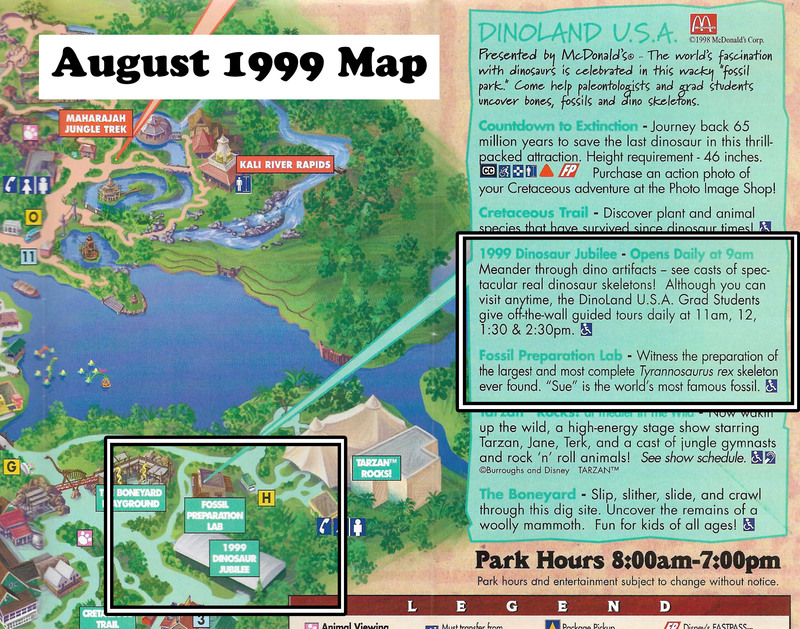 The 1998 Jubilee rolled into becoming the 1999 Jubilee. I honestly can’t recall the specific changes and most of the pictures I have are from 2000 and it was not a place I felt was a “must-see” for every visit to the park. 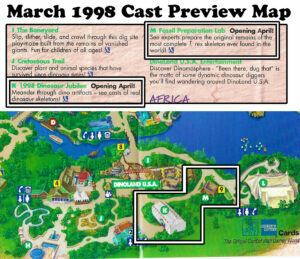 From the map description update, it appears that “tours” were added to spice it up a bit. 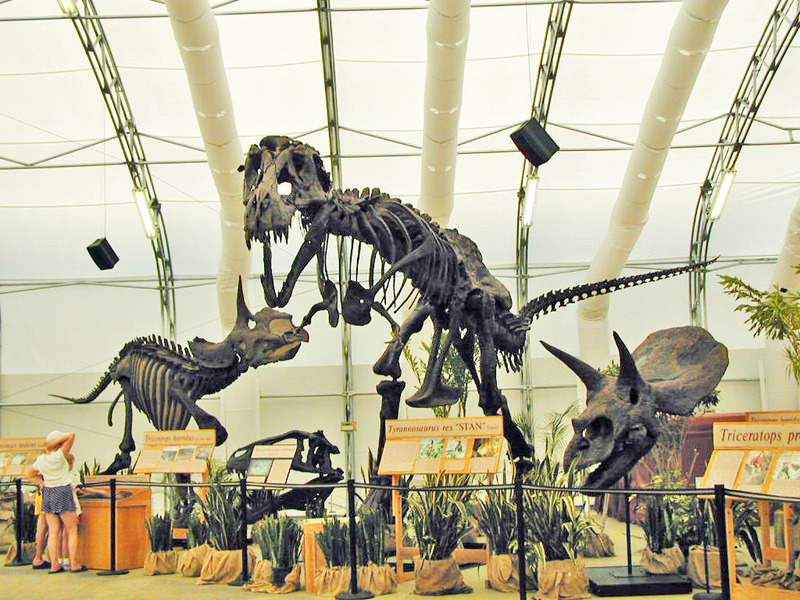 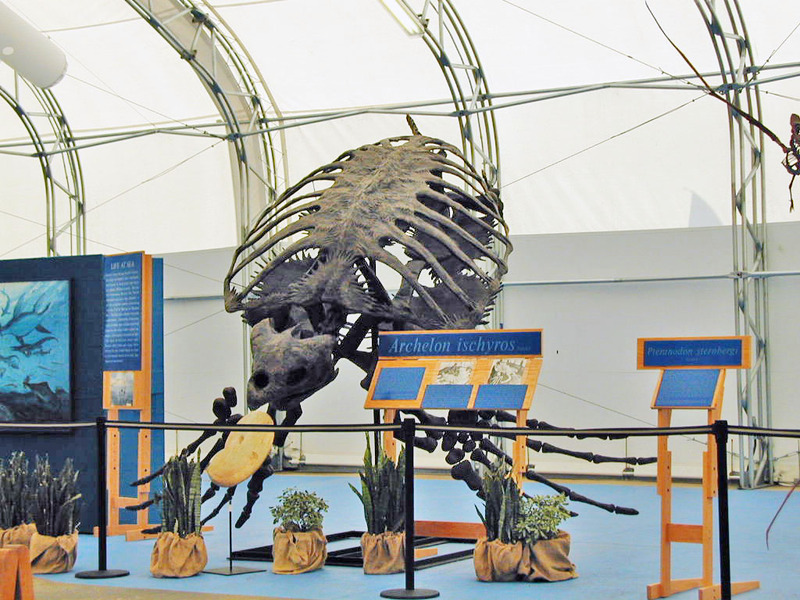 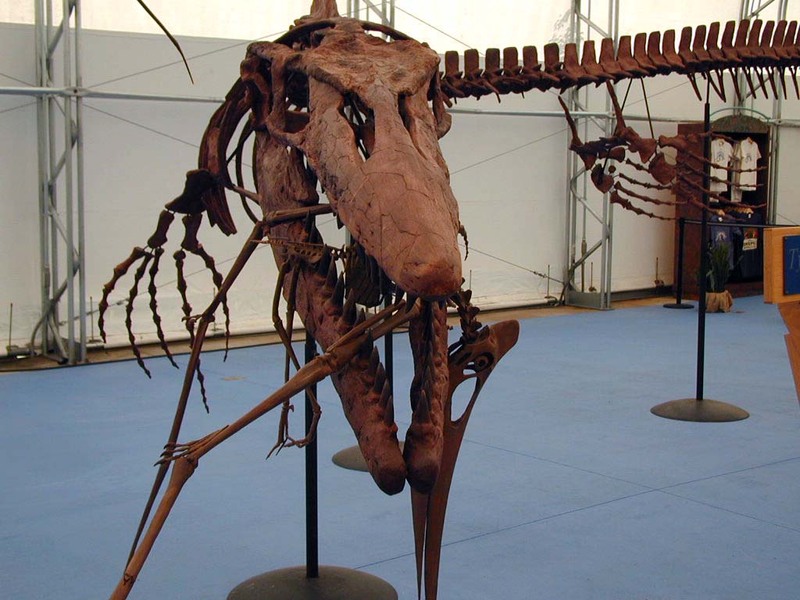 For the final year of the Dinosaur Jubilee, the year was dropped from the name. 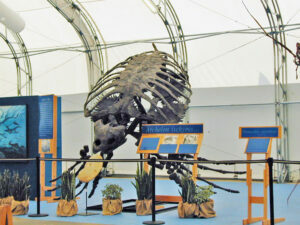 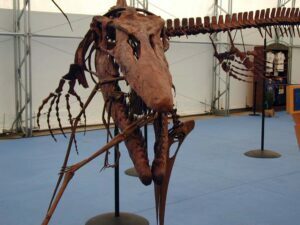 Rather than calling it the “2000 Dinosaur Jubilee”, it simply dubbed the “Dinosaur Jubilee”. 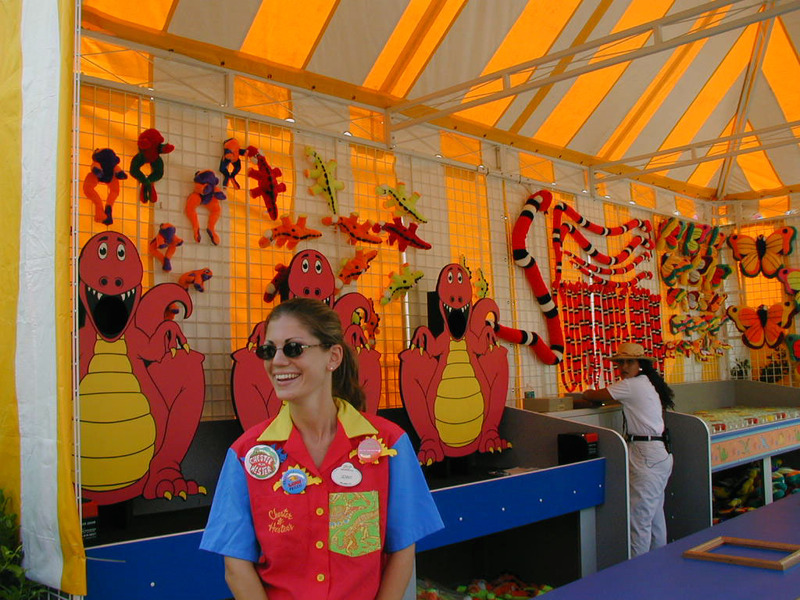 The tours may have been dropped, but for summer of 2000, a new shift of entertainment was brought in in the form of carnival style games. 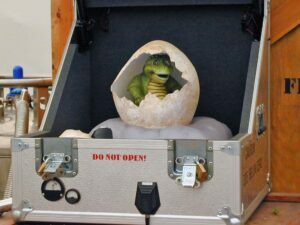 As a precursor to what would eventually be a large part of Chester & Hester’s Dino-Rama! a series of carnival style games were setup outside of the Dinosaur Jubilee area. 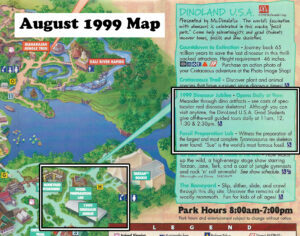 Advertising at the front of the park in the form of a tacky, giant inflatable T-Rex as well a banner at the entrance to Dinoland were aimed and sending more guests to the Jubilee. 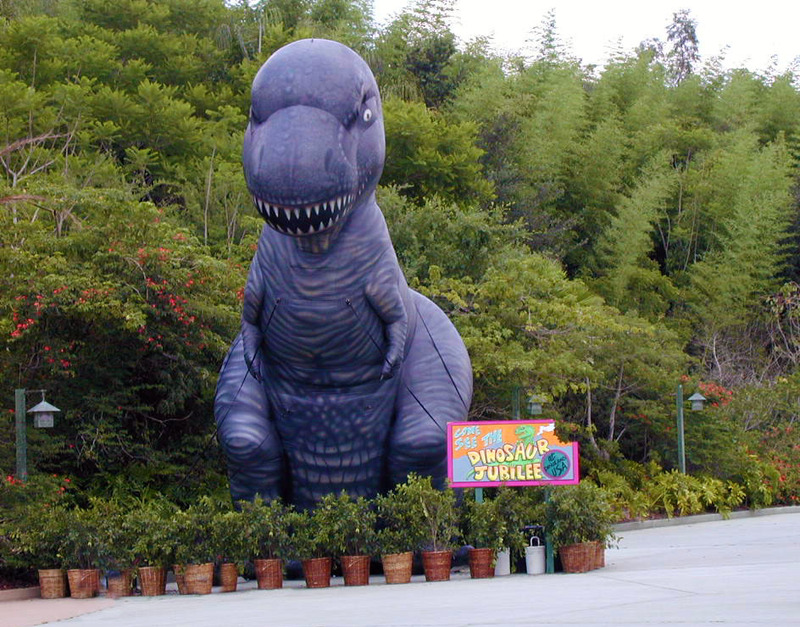 The background story was along the lines of grad students (the ones that dig in the Boneyard and hang out at Restaurant-o-sauru, were putting on a carnival in order to raise money. 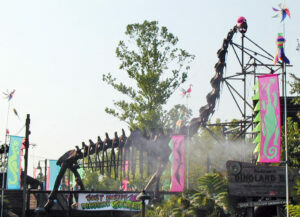 By August, the extra advertising had been taken down. 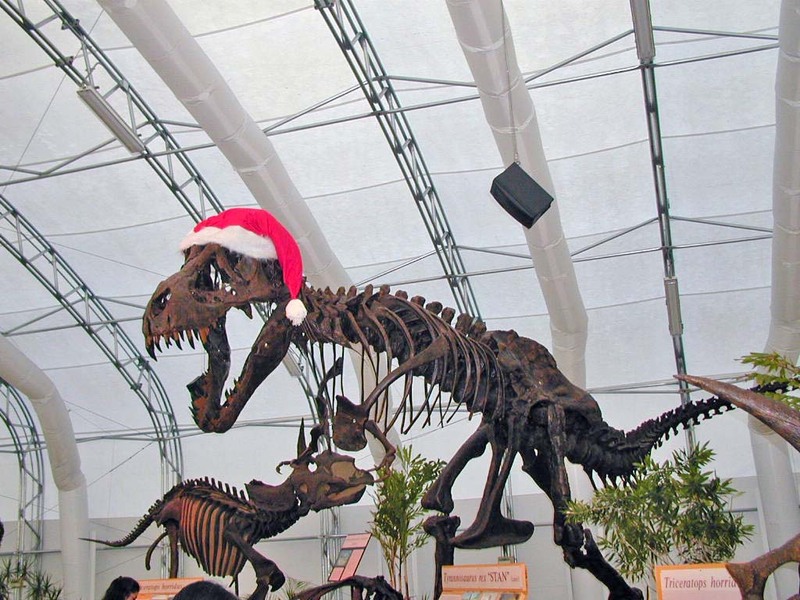 In December, the T-Rex was given a Santa hat. 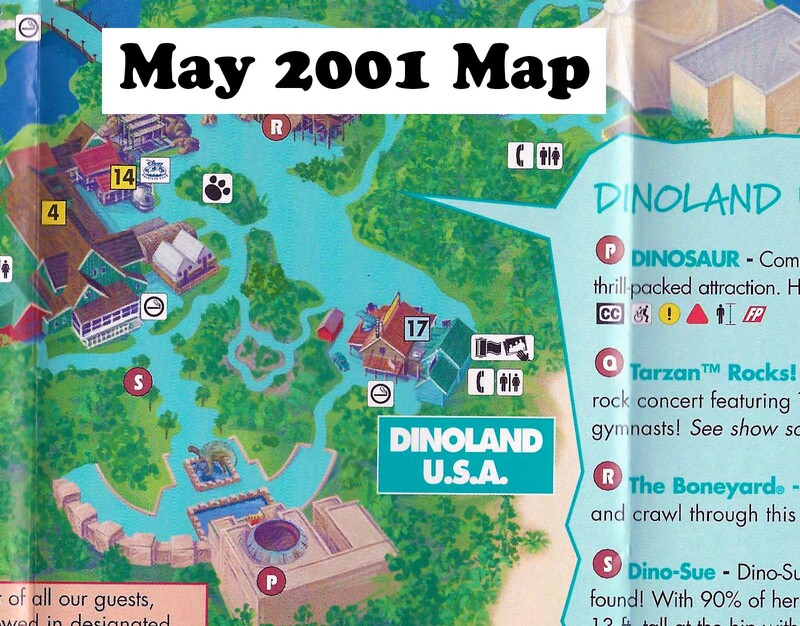 The Jubilee was closed down by spring 2001 to clear the way for Dino-Rama!